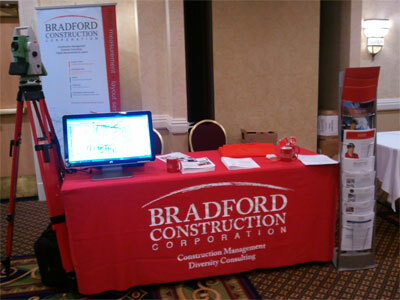 Bradford Construction is offering minority- and woman-owned business enterprises (M/WBEs) the latest in BIM equipment and services, and thereby opening opportunities for more construction projects designed and organized along the concept of Integrated Project Delivery (IPD). Bradford has teamed with Theometrics, the industry leader in “Architectural Navigation” and Building Information Modeling (BIM) technology, to promote technology and systems developed by Theometrics to simplify and advance the uses of BIM methods by M/WBE contractors. Bradford has been certified by Theometrics in the use of the system to teach M/WBEs how to apply Theometrics technology on their jobs to take advantage of what BIM methods can deliver today. 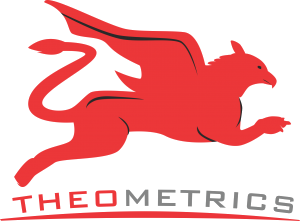 Theometrics’ digital measurement and construction layout systems, combination of laser hardware and computer software enables exact, automated measurements and creation of real-time 2D or 3D CAD drawings in the field. This process replaces traditional and inherently less precise design rendering by blueprints, axis lines and the like, and infield measurement by tape and string. The laser and electronic technology employed in this system is intended to transplant current conventions and replace them with the power of contemporary computer processors and the exactness of lasers. Small contractors will find the Theometrics system especially useful because it has the capability to easily coordinate drawings via software and thereby mitigate risks due to imprecision or drafting errors. It is inherently able to produce sophisticated measurements and drawings with a relatively small outlay for labor. It also allows work to be accomplished with greater ease and speed. The Theometrics system is especially useful for its ability to create new job opportunities and simplify entry into the exploding BIM/virtual construction markets. Theometrics means and methods bring to contractors in the field the speed and accuracy of CAD and BIM without the expenses or burden of mastering the design process. Until Theometrics systems became available, BIM was predominantly adopted and affordable only by large design and construction firms, limiting the opportunities for small contractors. Empowered by these new systems and training methods, small contractors can lead the way to expanding BIM to the fi eld and stake their claim to work opportunities that did not previously exist. Bradford believes that a migration to BIM also has tremendous potential to make project management by the GC and CM easier and, more importantly, more dependable by providing greater certainty and accuracy in design drawings, deviation studies, site layout, dimension control establishment and risk management. “BIM is clearly the not-so-distant future of construction technology. Bradford is thrilled to be working closely with Theometrics to bring BIM methodology to small contractors and M/WBEs in the design room and on the job site today,” noted Sandra Wilkin, President of Bradford Construction. Sam Stathis, founder and CEO of Theometrics, also commented about why Theometrics has selected Bradford as a preferred Theometrics service provider to help raise awareness of the benefits for contractors of using the Theometrics systems. “Bradford Construction understands how deploying new methods can give small and minority contractors a leg up in this business. Sandra Wilkin is a true pioneer and a perfect role model for M/WBEs who want a competitive advantage by adopting new technologies. While there has been much ‘talk’ about utilizing state-of-the art technologies, who’s actually using and promoting them? Sandra Wilkin. She is not only talking the talk, she’s walking the walk,” exclaimed Mr. Stathis. For the IPD concept to become a widespread reality in the construction industry, highly developed, sophisticated BIM technologies must become the industry norm rather than the exception. Bradford understands this and views Theometrics as the company creating the new standard for BIM and at the cuttingedge of moving IPD from the periphery into the center of construction management. As BIM methods become the new standard and IPD the new reality, M/WBEs can look forward to being the beneficiaries of the cost savings and increased efficiency that high tech will bring to the entire industry.